Is this flavor delicious? Are the Andes Mountains rocky? Andes Coconut Lime is rated 4.9 out of 5 by 9. All right, you caught us. We put the lime in the coconut. We couldn’t resist. This flavor combination is both extreme and exciting. It has your taste buds BASE jumping off a cliff, free-falling onto a strategically-placed trampoline and then backflipping into a white-water raft. Every limey, coconutty sip drenches your senses in sunshine. So of course we had to mix these flavors all up. But with 5 calories and 1 gram of sugar per serving, we definitely don’t regret it.We named our flavors after the coffee growing regions that inspired them, sort of like French Kissing or Bermuda Shorts. Learn about these regions and more here. 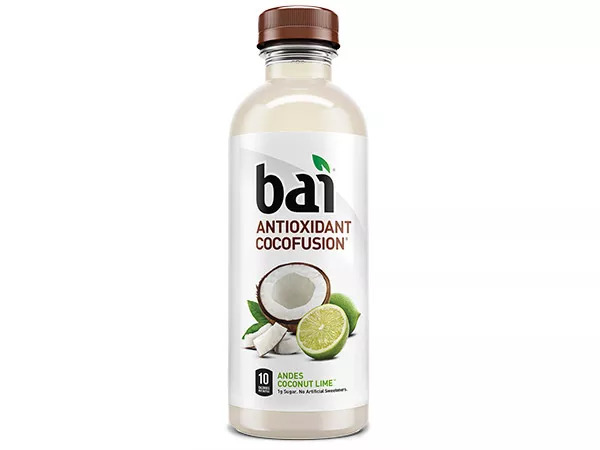 Filtered water, Bai® Proprietary Sweetener Blend™ (erythritol, stevia extract), coconut water concentrate, natural flavors, potassium citrate, citric acid, ascorbic acid, coffeefruit extract, white tea extract, sea salt. Rated 5 out of 5 by Rob111 from I See Why This Is A Song I've been getting Bai for years. 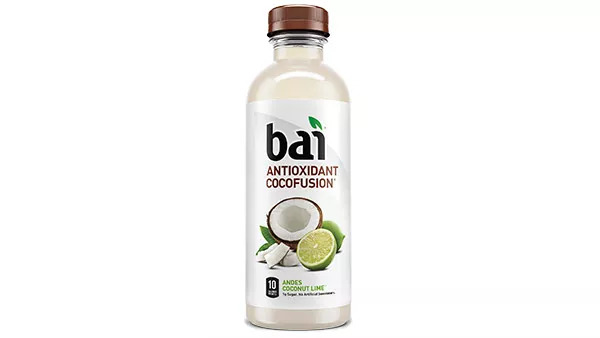 Since it was Bai 5 and the Coconut flavor was part of the fruit variety blend. So glad you gave Coconut the attention it deserves. And with this flavor it's truly stepped into the limelight. Andes Coco-Lime is my absolute favorite flavor of anything! When are you guys gonna start selling this stuff by the gallon?! Rated 5 out of 5 by Shell's fave from Smells great! My 28 yr. daughter just loves this mixture, of coconut infused with the Andes lime!!! When she opens a bottle, she takes a big sniff before drinking to just to smell the lime, Thank you for a wonderfully refreshing beverage. Rated 5 out of 5 by Jiffymike from Favorite This is my favorite. Ivy the coconfusion variety pack with the coconut pineapple, coconut and when it had the raspberry. Rated 5 out of 5 by Wennew from Best. Flavor. Ever. Andes Coconut Lime is my absolute favorite! I am so hooked on it, but now I cannot find it locally anywhere around me. I sure hope they aren't discontinuing it! I NEED this flavor!! Rated 5 out of 5 by rosebubble from Favourite Drinks! 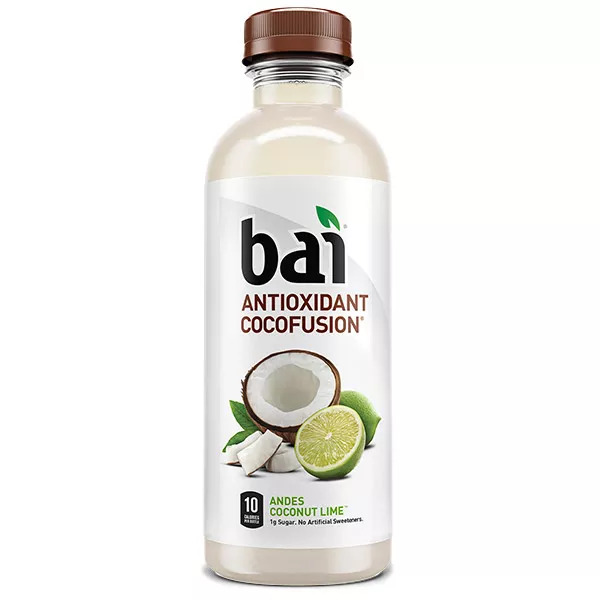 I love all the Bai drinks I have tried, and this one didn't disappoint me either. They're all so good and good for you, it's just overall amazing. I'm so thankful this drinks exist! !